A look at historical events, 2018’s Shock and Awe takes us back to the early 2000s. After the 2001 terror attacks in the US, the country goes on “war footing”. Initially, President George W. Bush pursues combat against Afghanistan due to that nation’s involvement in the assaults, but he also pushes toward regime change in Iraq. His administration claims that Iraq possesses “weapons of mass destruction” and uses that as a pretext to enter a second war. While most of the country goes along with this, some find themselves skeptical. 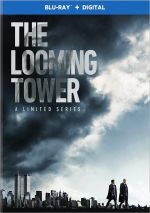 A group of journalists investigate the facts of the matter to learn the truth behind the Bush administration’s claims. What the heck happened to Rob Reiner? 25 years ago, he stood as a true “A-list” director, one who seemed likely to earn an Oscar at some point down the road. Reiner did earn an Academy Award nomination for 1992’s A Few Good Men, but after that, he hit a wall. Following 1994’s disastrous North, Reiner rebounded with 1995’s American President but since then, he’s struggled for either critical or commercial relevance. Nothing about Awe changes that. While well-intentioned, Reiner follows such a blunt, heavy-handed path that he leaves no room for subtlety. Awe opens with a quote from Bill Moyers that extols the necessity for a free press in a working democracy, so Reiner makes his intentions clear from the start. The film may take place in an earlier era, but like Steven Spielberg’s The Post, it exists as a response to the Trump administration’s war on journalism. While The Post came with shadows of Trumpism, it didn’t overwhelm the viewer with those overtones. Reiner embraces his anti-Trump side with Awe, though, as many of its scenes deliver content that clearly pushes the audience toward current-day concepts. Awe provides a terrific cast, as in addition to Reiner himself, we find Woody Harrelson, James Marsden, Tommy Lee Jones, Jessica Biel, Milla Jovovich and Richard Schiff. All seem game, but the movie overwhelms them with its exceedingly one-sided nature. By “one-sided”, I don’t just mean that Awe only pokes at the GOP, as he paints Democrats like Hillary Clinton and Joe Biden as part of the problem. Throw in the film’s near-blanket condemnation of “mainstream media” and Awe casts a broad net. It seems like an odd choice for a movie that wants to defend journalism to throw so much shade at journalists. Sure, I get that some didn’t question the government as much as they should, but Reiner still creates a confusing message. More problematic, Awe consists less of characters and drama and more of speeches – lots and lots of speeches. Entire roles exist just so they can halt the action and give us pedantic lectures about various subjects. Somewhere buried deep in this mess, Reiner makes good points about the nature of the media and its responsibilities to the public. However, he buries these notions in such heavy-handing muck that the end result becomes tiresome and tedious. Shock and Awe appears in an aspect ratio of approximately 1.85:1 on this Blu-ray Disc. Overall, I felt pleased with the image. In terms of colors, Awe went with a mix of yellow/amber and teal. The film kept these strong but they didn’t seem obnoxious, and the Blu-ray reproduced them with good fidelity. In addition, the movie’s DTS-HD MA 5.1 soundtrack packed a pretty good sense of action, with active use of the various channels when necessary. Music filled the various channels in a satisfying manner, and effects fleshed out the spectrum in a logical way. The film focused on general ambience, but some military components managed to add immersion to the tale. These worked for the story and added punch to the proceedings. In addition, music was vibrant and dynamic. The audio suited the story. Two extras pop up here, and we find an audio commentary from director/actor Rob Reiner. He brings us a running, screen-specific look at story/characters and factual areas, cast and performances, and related areas. A veteran of the format, Reiner should know how to produce good commentaries, yet he consistently records some of the worst on the market. Reiner speaks for maybe 10 percent of the movie, and when he does so, he offers little more than basic facts about the events that inspired the film. In other words, this is an awful commentary. I’d not heard a Reiner track in years so I hoped he might’ve gotten some helpful advice over that span, but apparently he didn’t. Skip this banal, nearly information-free snoozer. Behind the Scenes runs 12 minutes, eight seconds and features Reiner, Reuters Foreign Affairs/National Security editor John Walcott, journalists Jonathan Landay, Joe Galloway and Warren Strobel, screenwriter Joey Hartstone, producers Michelle Reiner, Christopher H. Warner and Matthew George, production designer Christopher R. Demuri, and actors Luke Tennie, James Marsden, Woody Harrelson, Jessica Biel, Milla Jovovich, and Tommy Lee Jones. “Scenes” looks at the movie’s approach to its story, factual elements and production design, cast and performances, and Reiner’s double duty as actor and director. Though we see them during the end credits, it’s good to get more from the real people behind the film’s characters. Otherwise, this tends to be a superficial piece that mostly touts the movie’s importance. 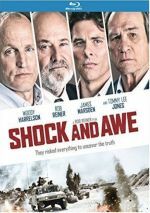 With an excellent cast and a promising premise, Shock and Awe boasts potential for greatness. Unfortunately, director Rob Reiner paints with such a pedantic brush that the end result feels like little more than a long string of political tweets. The Blu-ray offers very good picture and audio along with supplements dragged down by a bad commentary. Awe could’ve been a winner but the end result sputters.